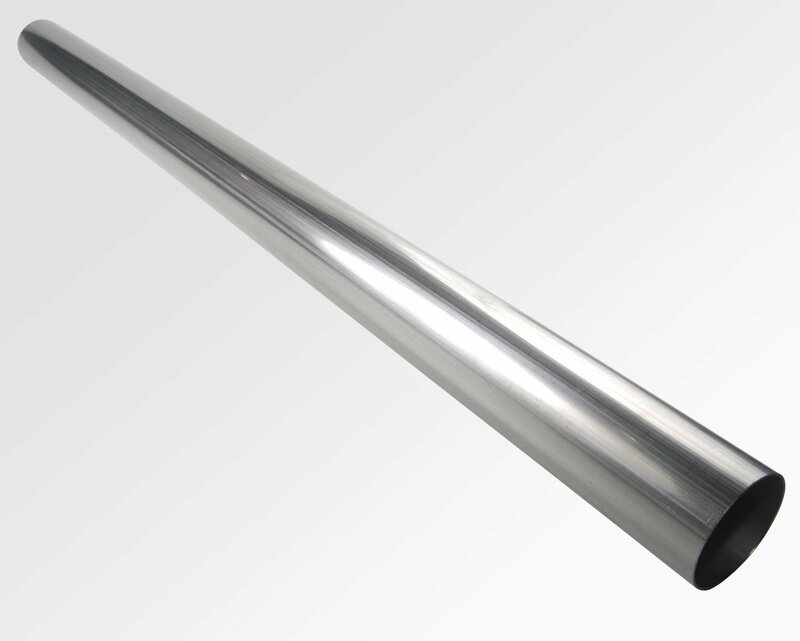 Dynomax 54763 - Straight Aluminized Stainless Steel Tubing Length: 4 Ft.
Borla 30330 - Straight Tubing Diameter: 3"
Making Exhaust Parts? Building a Performance Exhaust System? Then JEGS Has the Exhaust Pipe for You! Using the same quality materials as most fabricators, JEGS Exhaust Pipe Tubing is straight but can be bent to create your ideal custom exhaust. 30911 is rated 4.8 out of 5 by 4. Rated 5 out of 5 by Beviking from Perfect size match for my Borla 140389 Decided to cut out resonators in the Borla catback and weld in strict 3" pipe. This pipe worked perfect! Rated 5 out of 5 by Zachlovesfood from Good staino Purged everything and welded up fine, fast shipping too. Rated 4 out of 5 by YESLIW from 3 INCH STAINLESS STEEL TUBE I WOULD GIVE THIS FIVE STARS IF IT HAD BEEN POLISHED. SINCE THAT WAS WHAT I WAS LOOKING FOR, BUT, IT IS A PIECE OF EXHAUST TUBE. I WILL NOW BE SPENDING THE WINTER POLISHING IT AS I NEED IT FOR INTAKE TUBE. IT SEEMS THAT INTAKE TUBE IS ONLY AVAILABLE IN ALUMINUM BUT ALUMINUM CAN'T GET WET WITHOUT SPOTTING, WHICH MEANS, OF COURSE, POLISHING. I WOULD RECOMMEND THIS TO A FRIEND IF THAT FRIEND WERE BUILDING AN EXHAUST AND NOT AN INTAKE TUBE. IT IS SUPPOSED TO BE 304 STAINLESS SO IT SHOULD POLISH WELL. I WILL HOEVER, BE POLISHING BY HAND. JEGS 30871 - V-Band Clamp & Flanges 3"
JEGS W80662 - Large Tailpipe Expander 2-1/8" to 3-7/16"
JEGS 30803 - Sure Seal 3" Clamp Fits 3.080" to 3.280"